For so long the Luigi to FIFA’s Mario, Pro Evolution Soccer is now forging its own way forward in the booming esports industry. Find out how and where to bet on Pro Evo tournaments such as the PES League, eFootball.Pro League and more. There are now hundreds of online bookmakers that take bets on soccer gaming, but not all are equal. The esports betting sites above are all licensed and regulated operators that offer competitive prices on a wide variety of markets. We recommend signing up at multiple bookies to ensure you always get the best odds available. Some of the biggest Pro Evo betting markets are the outrights and futures, where you can bet on tournament winners, how far certain teams will progress, and so on. Many esports bookies also run exclusive tournament specials. The EA Sports FIFA series holds the rights to many of the world’s biggest football teams, leagues and tournaments, including the FIFA World Cup, UEFA Champions League and English Premier League. However, PES has a few big names on the books and is adding more every year. First staged in 2010, when it was known as the PES World Finals, the PES League is the official Pro Evolution Soccer esports championship. It was exclusively a singles tournament (1 v 1) until 2018, when Konami added a team event (3 v 3). Notable former champions include Italy’s Ettore ‘Ettorito97’ Giannuzzi, France’s Walid ‘usmakabyle’ Teban and Portugal’s Christopher ‘Christopher’ Morais. 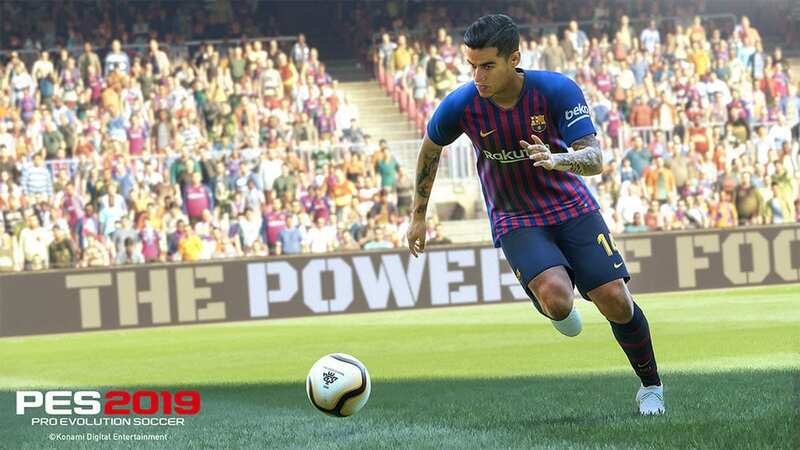 If you have ever wondered why Camp Nou is missing from certain versions of FIFA, it is because Barcelona signed on with the PES eFootball.Pro League when it launched in 2018. That might have something to do with Barca hero Gerard Pique, the tournament’s founder and president. Boavista, Celtic, Monaco, Nantes and Schalke are also part of this club-based esports football league. What is Pro Evolution Soccer? Pro Evolution Soccer, Pro Evo, PES – whatever you call it, Konami’s long-running series of virtual football titles ranks among the best-selling video game franchises of all time. Over 100 million copies have flown off the shelves since 2001, when the first edition of the game made waves on Playstation and the PS2. Pro Evo endures constant comparison to EA’s FIFA series – the world’s most popular virtual sports games. While longevity and licensing have often given FIFA the edge, fans of PES point to consistently smoother gameplay and a more intuitive passing system. Konami pulled off a major coup when it won exclusive rights to the UEFA Champions League in 2009. The Europa League followed in 2010, the same year the first-ever PES World Finals esports championships were held in Mallorca, Spain. Soon after came an official partnership with CONMEBOL, South America’s governing body of football. With the development of the PES League and the eFootball.Pro League, Pro Evo is beginning to make up ground on FIFA in the esports arena. UEFA jumped ship in 2018, handing over the Champions League licence to EA Sports, but deals with Barcelona, Celtic and more of Europe’s top club ensure a bright future for PES esports.